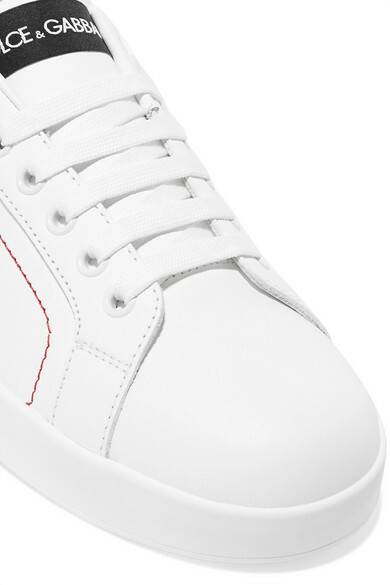 We love how effortlessly cool a pair of sneakers will make a flowy dress or printed mini skirt feel. 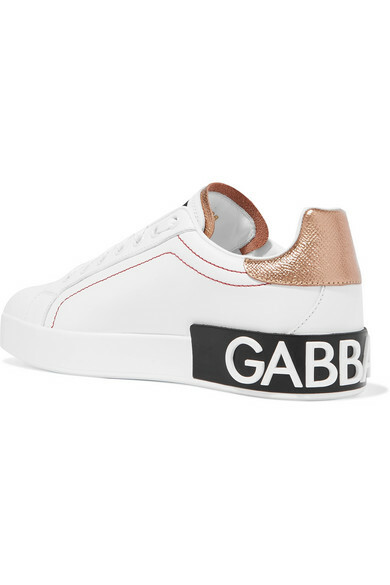 Made in Italy from white leather, Dolce & Gabbana's version is accented with gold lizard-effect leather trims at the tongue and heel. Turn them around and you'll discover the designer's name at either heel tab. Shown here with: Miu Miu Skirt, The Row Sweater, Prada Bucket bag.